This Confined Space Rescue course offers theory as well as practical knowledge required for entering a confined space, or attending to the entry of a confined space. Students will participate in hands-on equipment and setup exercises, and address safe practices and procedures as specified in Regulations by the Occupational Health and Safety Act of Ontario. 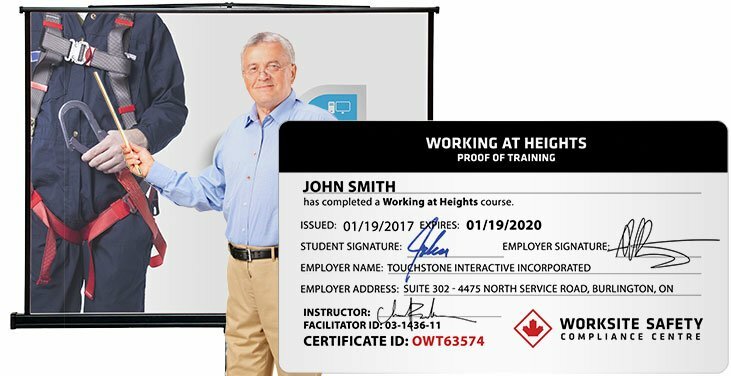 You will then be contacted by a Worksite Safety Compliance Centre Booking Representative to confirm the details for your preferred training location, and any additional travel fees if your location is outside of our service area. Certificate Issued	Upon completion of this 8 Hour training course, students will be issued a certificate showing proof of training. On-Site Training	For groups of Eight or More, the Confined Space Rescue course is available at your location, on a date of your choice. Please contact us for a quote.